WE ARE ALWAYS WORKING ON SOMETHING NEW AND UPDATING OUR PROJECT GALLERY. BELOW ARE JUST A VIEW EXAMPLES OF HOW WE HELP OUR CUSTOMERS. We designed and fabricated this custom spray ball to clean a process vessels for a contract manufacturer. 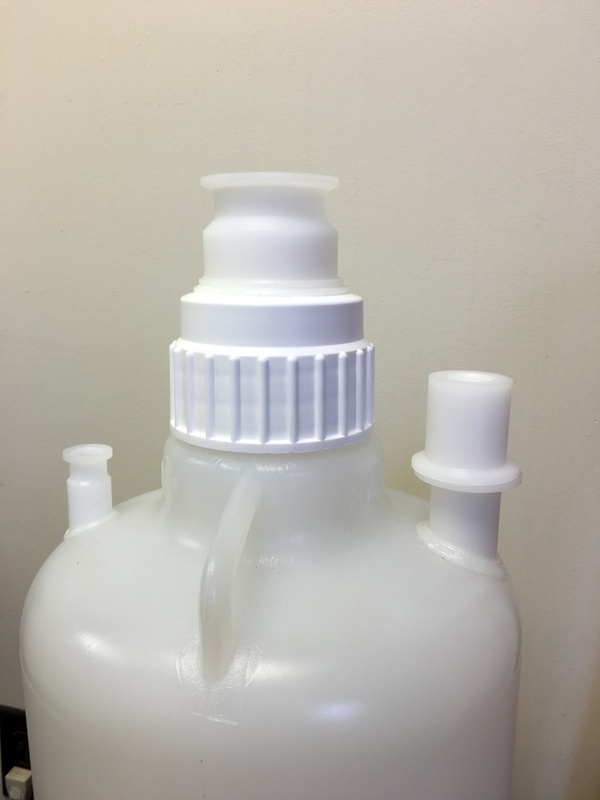 It was designed to be used with an existing tank and to easily be able to connect a CIP solution and then a High Purity Water rinse. This custom high purity water tank with a custom stand and spray ball was designed to improve our customer's existing process. The spray ball is used by connecting to a tri-clamp on the lid. The tank can be sprayed clean and then rinsed. The spray ball was designed to spray directly into all the fittings and completely coat the inside of the tank. The spray ball tri-clamp can then be capped and the tank is ready to go. These SS vessels were on site at our customer's facility, but had all threaded connections. Our customer didn't have time to wait for a customize SS vessels. We took their off the shelf vessels, replaced the threads with tri clamps and added a 1.5" Tri-clamp to mount our custom pneumatic mixer. We work with our customers to find the best solution for their application and situation. These single use USP class IV fittings are used in a pharmaceutical GMP manufacturing facility. 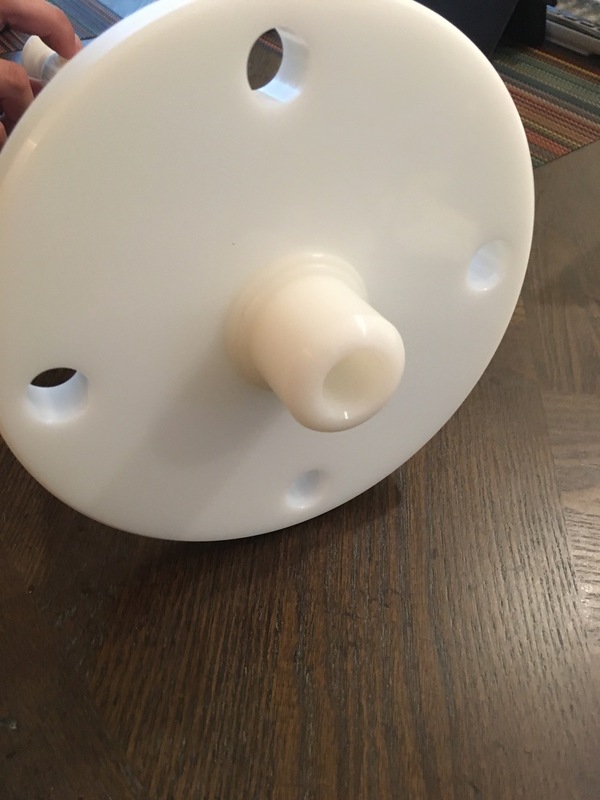 The fittings include a mixer jacket, temperature probe, mixer mount and dip tubes with tri-clamp connections for a standard 10L carboy we customized. We designed and supplied the mixer and temperature probe to provide a complete solution. 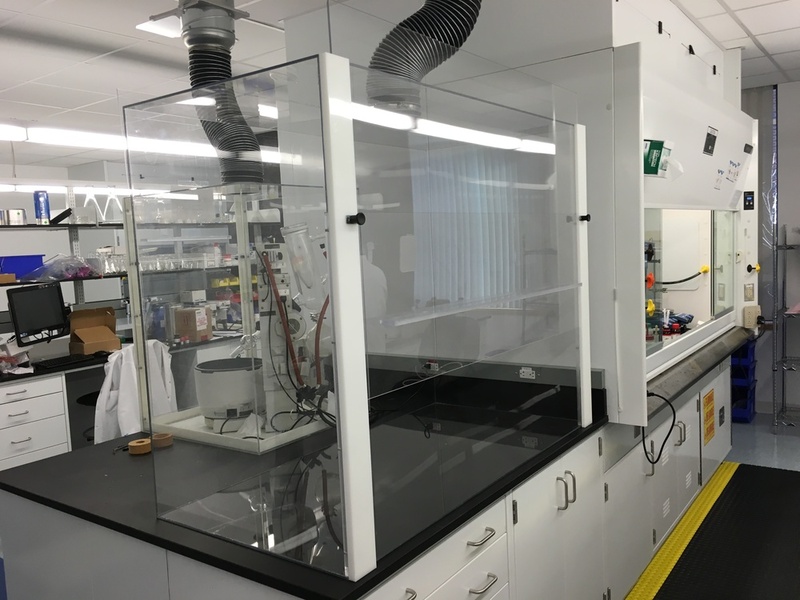 These acrylic enclosures were designed to fit the existing lab bench space and allow room for easy access to the Roto-vaps. Ease of access is important in operator safety. We recently upgraded an existing chemical injection system for wastewater pH neutralization at a vaccine manufacturing facility. Our customizable chemical cabinets reduce operator exposure and increase safety while pumping non organic chemicals. The cabinets include fittings for electrical connections, tubing, conduit and 17 gallons of spill containment. 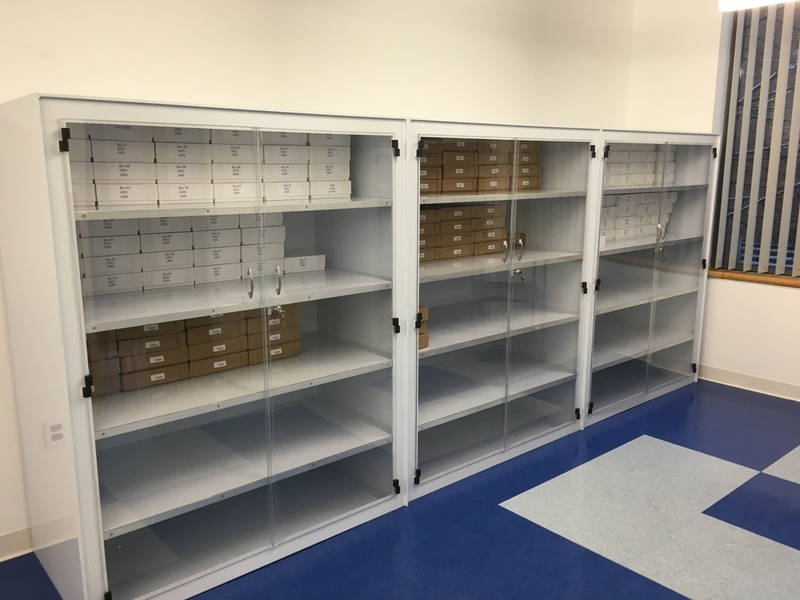 These cabinets were fabricated for a fast growing R&D firm in Cambridge, MA focused on cancer therapies.This line of storage cabinets were designed to maximize space and store specific bottles, boxes and carboys.